Support - Trooper. Cost: 1. After you activate a leader, you may activate this support. 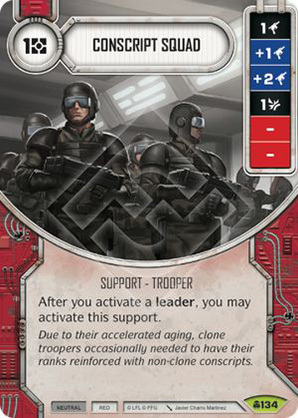 "Due to their accelerated aging, clone troopers occassionally needed to have their ranks reinforced with non-clone conscripts."